Brenda Gatchel, CNM/CRNP, has made caring for the health needs of women and their newborn children a life-long pursuit. 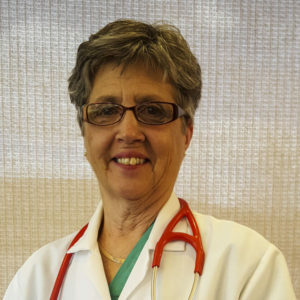 Her career at Marion General Hospital began in 1974. She served in a variety of roles including head nurse in Labor & Delivery and perinatal clinician. In 1996, she became a nurse practitioner with a special interest in women’s health and completed her studies in midwifery in 1998. Brenda is a graduate of The Flushing Hospital and Medical Center in New York and Capital University, Columbus. She completed her master’s in nursing and received her post master’s certificate in midwifery at The Ohio State University.